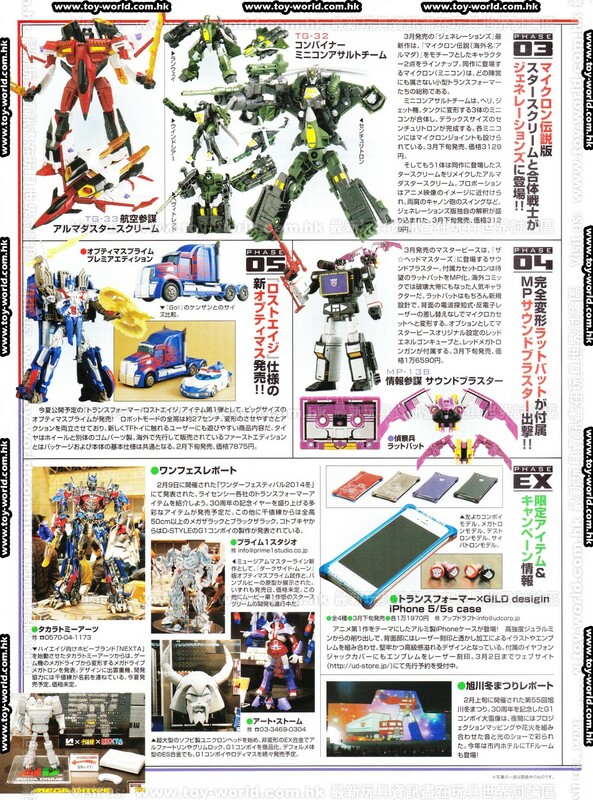 Discussion in 'Transformers News and Rumors' started by Type-R, Mar 4, 2014. 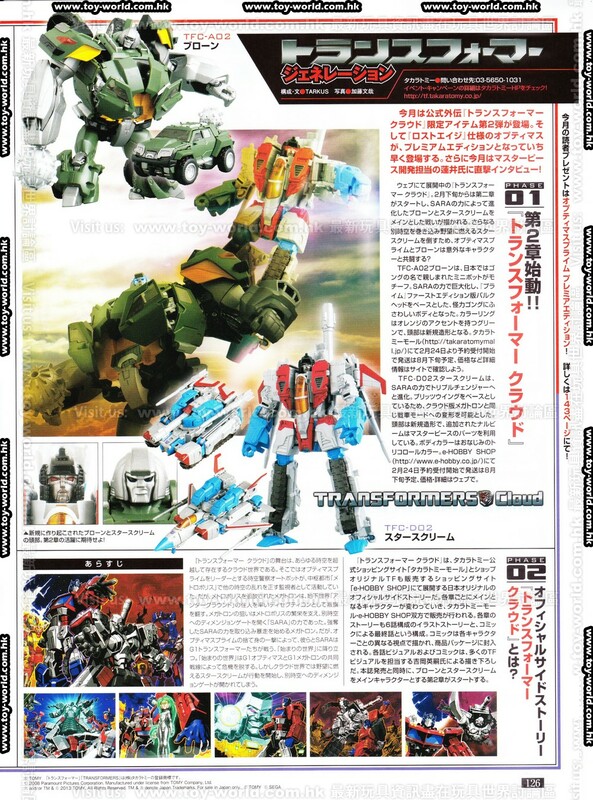 Thanks to toyworld.com.hk for the scans. Ugh! I want to read the interview so bad! Coloured MP Wheeljack with 539 on his doors?? You sure? Looks to be the same size as Lambor in the back given the distance. Quick Google search confirmed it. They've shown pictures of him with that red Megatron since they released SoundBlaster pics last year. I'm excited for SoundBlaster and Ratbat, but I've no idea what the hell that's even referencing. I'll never use it. Should've been a Galvatron gun or even an another Energon cube. Oh man Soundblaster and Ratbat look awesome. Best pictures we've got. Cannot wait. We've seen that. What we haven't seen is the red chest cover. Its been mentioned in magazines but I don't know if they ever showed it. If they did we haven't seen any scans. Although the mould of MP-13 isn't my fav, I'm liking this a lot more than Soundwave. I think Soundblaster's actual chest which sits flush with the body is red. The purple one is the clip on cover like Soundwave's tech spec screen, hence the protrusion. I hope someone has the time to translate that interview! I love that stuff. Oddly enough though, aside from the Wheeljack design sketches, my favorite thing in there is Armada Screamer. Lookin pretty sharp. So who wants to give me their Takara Armada Starscream for 20 bucks? I should've just waited for this version instead, it looks awesome. Considering his retail price in Japan is $29. Probably no one. thanks goes to Type-R. I love reading interviews! is that prime a dmk-01 repaint? and what is that grey movie bumblebee prototype?